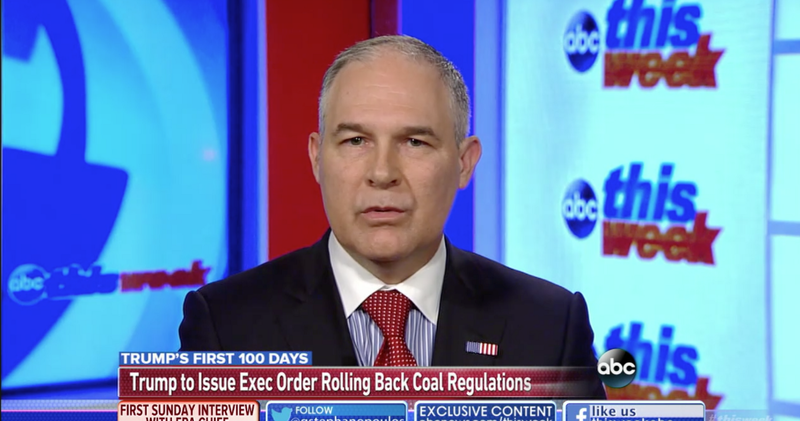 President Trump will sign an executive order Tuesday to start the effort to kill Obama’s Clean Power Plan (CPP) standards, which are aimed at cutting carbon pollution from electricity plants, Environmental Protection Agency Administrator Scott Pruitt said Sunday on ABC’s “This Week.”Pruitt’s long interview was filled with false and misleading statements about domestic climate action and the Paris climate deal. Perhaps he would call them “alternative facts”. At least he is consistent with the rest of the Trump team. But the SCIENCE speaks for itself and as time marches on even the most dense denier will become a believer.